NAHB awards for Greenhaus Advertising. Greenhaus Advertising of San Diego reports it recently won six advertising awards, including four Gold and two Silver, for outstanding work in residential real estate sales, marketing and design at the National Association of Home Builders’ National Sales and Marketing Awards. NAHB said its awards program, known as “The Nationals,” drew more than 1,300 entries. Greenhaus’ awards included: Three Gold awards, including advertising campaign, digital marketing campaign and social media campaign, for its work with Orange County’s Rancho Mission Viejo’s Esencia neighborhood; Two Silver awards, including print ads and e-mail marketing, both for Esencia; One Gold award for a direct mail campaign for the Kukui’ula residential community in Hawaii. The direct-mail campaign consisted of a custom cover wrap for Travel & Leisure magazine that was delivered to 1,500 high-net-worth individuals in California, Arizona and Washington. The awards were presented in January in Orlando. Work for the awards was performed between June 1, 2016 and Aug. 23, 2017. Founded in 1996, Greenhaus, with 35 employees, has worked for clients in 16 states and Mexico. Clients have included Grand Del Mar, W Hollywood Residences, City of Anaheim, Irvine Ranch, Hard Rock San Diego, San Diego State University, Mammoth Mountain and Puerto Cancun. The firm also has branded museums, performing arts venues, the San Diego Convention Center, San Diego International Airport and The IDEA District in San Diego’s East Village. Sophia lands on the head of Nichelle Medina. It was “Zoo Day” on a recent KFMB-TV’s morning newscast. 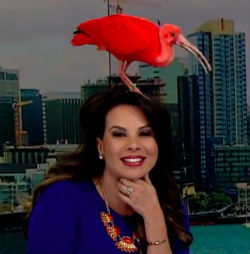 The featured in-studio guest at the local San Diego station was Sophie, an ibis bird who resides at the San Diego Zoo. However, Sophie unexpectedly decided to appear early during the tease. The bird flew in on camera and landed on the head of anchor of anchorwoman Nichelle Medina, as seen in this online video. Medina, to her credit, stayed calm and smiled with a bird perched on her noggin during the live broadcast. Eric Kahnert, Medina’s co-anchor, laughed, “How’s that for an introduction.” Moments later, the bird flapped over toward Kahnert’s head. Station officials did not respond to a request for comment for this story. The Public Relations Society of America’s San Diego-Imperial Counties chapter will host Joseph Truncale, CEO of PRSA, at a lunch-and-learn program starting at noon, Tuesday, March 13, at Farmer & The Seahorse restaurant, 10996 Torreyana Road. PRSA said Truncale will discuss insights and inspiration on leadership, culture and change, and how PR practitioners can help shape culture within their organization. 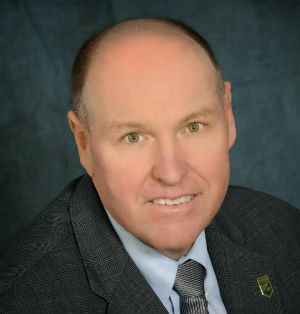 Truncale, a specialist in strategy, customer analysis and organizational effectiveness, was named CEO of PRSA in November 2014 after spending 30 years with the National Association for Printing Leadership. 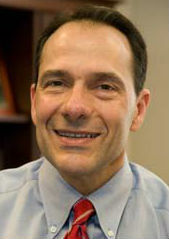 He holds a master’s degree from Rutgers University and a doctorate in media, culture and communications from New York University. Cost to attend is $40 for members and $55 for nonmembers. For information and to RSVP, visit www.prsasdic.org. 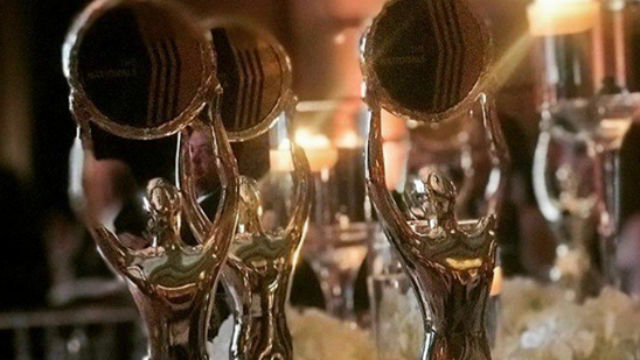 San Diego’s International Association of Business Communicators chapter is currently accepting nominations for two awards, including “Communicator of the Year” and “Junior Communicator of the Year.” Deadline is Friday, March 9. Nomination forms and more information is available online. IABC said the communicator of the year must be an IABC San Diego chapter member, have at least one year in their current position as of Jan. 5, 2017, and exemplify the role of a leader in communication with proficiency in internal and external communications. The honoree also must implement a strategic communication plan that addresses the vision, objectives and priorities of the organization and participate in new and innovative methods of communication to diverse audiences. IABC said the criterion is the same for the junior award except that recipient must have less than five years of experience in the communications field. This is the first year for the junior award. Previous winners have included: Lisa Hunter of Booz Allen Hamilton, Anna Davison of Bridgepoint Education, Marilyn Olson of PPR North America, and Cason Lane of Cason Lane Strategic Communications.